King understood any form of racism defies the dignity of human life. 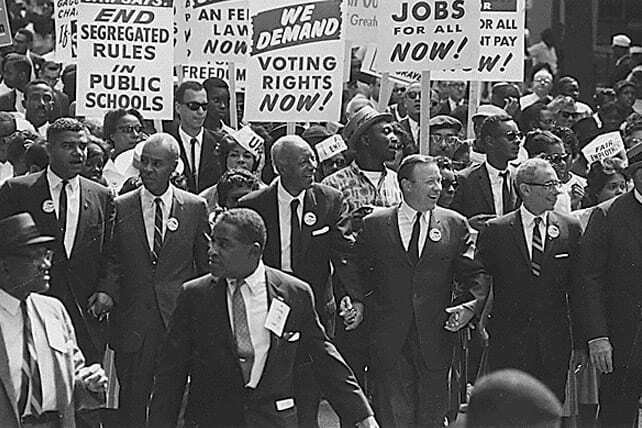 That is why, in the midst of racial injustice and division in America, he dreamed about a day in our nation when “justice rolls down like waters and righteousness like a mighty stream.” His quote of Amos 5:24 mirrored the heart of a prophet who in his own day was witness to injustice and inequality. But King’s interpretation of the text was tinged with a sense of holy dissatisfaction. Most of us remember MLK’s 1963 speech by its most famous theme—“I Have a Dream”—but King was much more than a dreamer. What made him one of the most consequential figures of the 20th century was his insatiable desire for biblical justice. This desire would end up costing him his life, but his dream of biblical justice in America would live on. It still lives on today. Reflecting upon this history, I’m moved to humility and repentance. We are not black churches. We are not white churches. We are not Latino churches. We are not Asian churches. We are the church of Jesus Christ. We are members of the same body. In the true church of Jesus Christ, the walls of racism and injustice come down. We cannot change the future of America by ourselves or by remaining cloistered with those who look, talk and think like us. Biblical justice demands engagement. This goes especially to the church in America. Silence is not the answer to our racial issues in America, and, to be perfectly frank, blind hope that our conflicts will sort out by themselves is a strategy to fail. Pastors and churches cannot sit passively on the sideline. This is one moment when the church of Jesus Christ must lead by exemplifying a strong commitment to racial unity. On Martin Luther King Day, Jan. 15, I will join pastor Arthur L. Hunt, Jr. and Governor Asa Hutchinson at the Arkansas State Capitol and, along hundreds of pastors in Arkansas, we are going to stand and be united publicly. We are choosing unity, not simply talking about it. It’s past time for racial unity in America. We’ve decided to be united.